www.leegunnell.com: The Olympic Files: Day Three. The Olympic Files: Day Three. Macdonalds; wanting to call them "Burger Rings"
In its mythical origins, hardened men of Ancient Greece created varying one on one sporting competition; based around events such as Wrestling, Athletics, and Chariot Racing – to name a few. Spectators would flock from many distant towns and watch on in awe; as marked coins or Gold, Silver, and Bronze, were awarded to the best of the best in their specific field; they were warriors, heroes, and figures of aspiration. As these events – and the numbers watching grew in stature, politicians, capitalist wagon-jumpers, and all forms of the powerful, began seeking profitable margins within an event so widely popular. By 1896, the Olympic Games had been revived for the modern era, and very little had changed. 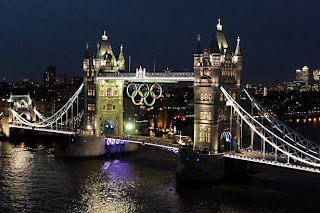 The question it makes me wonder, one-hundred-and-sixteen years later, and on this third day of the thirtieth summer games, is simple; if the people created it, and the powerful hijacked it… Whose Olympics is it anyway? Corporations: Each commercial investor has pumped 100 million dollars into the IOC, in order to spend two weeks forcing their product into the minds of the masses. They are handed contracts, sponsorship deals, armies of grandstand tickets, and are unavoidable if you wish to enjoy the event. Two factors are of note; one – taxpayers fund the games. Two – much like no one remembers anyone whose contribution to humanity, was nothing more than making money, no one remembers any Olympic sponsor. Without their stupid hyperbole campaigns, and hocking of worthless crap (Macdonalds, seriously? ), the games would continue to run smoothly… perhaps even allowing more taxpayers a chance to view the events they paid to create. Media: Besides negativity, insidious misinformation, and - now with social networking, a consistent chattering annoyance we could do without, they provide some value, in their global coverage of the games - though most is tied in commercially. However, as much as this service is useful, much like with corporations, the games would continue without the myriad of cameras and scrutiny. Media are a necessary evil of coverage, not a requisite to keep the games running; in honesty, I think the Olympics is a time where no one listens to them anyway. The IOC: If the International Olympic Committee disbanded, another group would come along, slowly evolve, and take their place. They are easily replaceable organisers – only in control in their own minds. Important to regulate the aspirations of host states and events, yet when the games begin, are hardly even needed there. 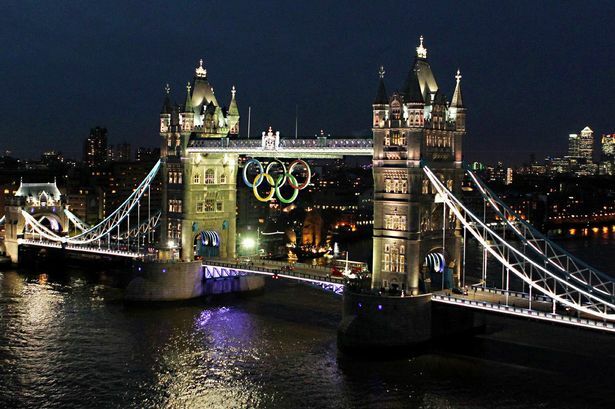 Governments: The Olympic Games are used to further political agendas. The left claim unity and the beauty of a liberated spirit, embracing culture, colour, and competition. The right lay an idea of monopolising capital growth and developing industry, as well as the nature of true, ruthless ambition to become number one. And the rest focus on scoring backslapping tickets for all their rich mates; it's amazing how many rich men of power are pathetic chumps, looking to catch pervy thrills off the Beach Volleyball. Nonetheless, their plans are very quickly forgotten, and for every soul who associates a Berlin 1936 with Adolf Hitler, there are around a hundred thousand, who remember Jesse Owens. The Athletes: Being an Olympian is the pinnacle of any sporting achievement. When I remember previous games, I think of Carl Lewis, Steven Redgrave, Usain Bolt, Ian Thorpe, Sally Gunnell, Chris Hoy… the list is endless. Gold medallists are, deservedly so, national and international heroes. And it is still considered a measure of true success, to become an Olympic champion. The games started because of them, and will continue because of them as-well. The Fans: Without the athletes, there is no completion. Without the fans, there is no one there to watch it, and enjoy it. It is spectators who made the initial ideas keep rolling, and it is the general public who truly embrace the Olympic Spirit. Corporations, politicians, and media, have tried time and again to override the heart of the games with their hidden, hollow agendas, yet always failed to do so. And in this statement, lies the answer. The Olympics were created by sportsmen, continued by the fans, and no matter what any media outlet of fast food chain tell you, determined by them too. When the money runs dry, all the shallow, self-serving animals using the event for personal profit, will vanish from the mist of its burning flame. The fans, athletes, and the Gold, Silver, and Bronze, will still be standing as strong as it did, on the fateful early days of Ancient Greece. Whose Olympics is it anyway? It is yours, It is mine, it is for all humanity; price, power, and position, are completely irreverent.